Four months have passed since the launch of Destiny 2, and since we haven’t seen a single quality patch from Bungie in all of that time, it’s safe to say that the game has some obvious issues. While the game acts as a great base, too many of Bungie’s actions are raising very important questions lately. Let’s look at those. I originally began off this article by saying that, “I don’t even know where to begin”, but what started out as a news post became a full-fledged one-page article, so clearly, my rant cannon is on the verge of popping. Since Destiny 2‘s launch, I’ve been pretty vocal about the issues that plague it. At first, I felt like I was alone. I had to tone myself down when chatting to my PlayStation 4 (and now PC) clan, because I didn’t want to bring people down. Today, the clan leader I met in Destiny can’t even be bothered to log into Destiny 2. 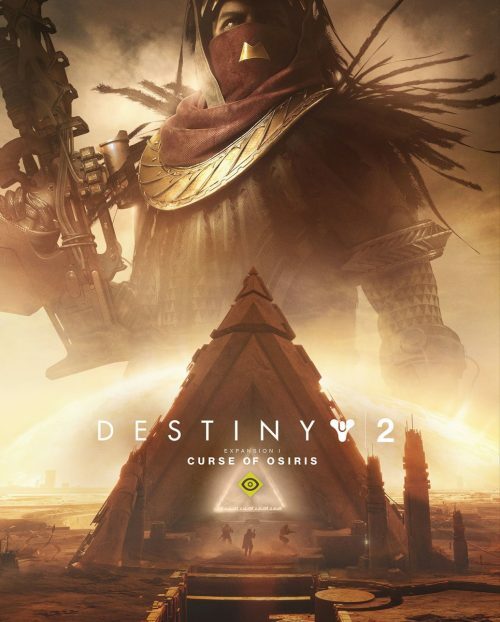 What about the upcoming Curse of Osiris? I wish I could say I was excited, or that I knew of a single person who is. But I don’t. I started off this post as a simple news item, and while it became an article, if I were truly ambitious, I could probably turn it into an entire book. Destiny 2 is downright infuriating in some ways, it’s that simple. The upside is that it still has an amazing base, and things will undoubtedly improve over time. At this point, though, it seems obvious that the game isn’t going to be completely fixed to the extent people want it, but important fixes that will help smooth things over are sure to come. Well… “sure to come” might be a continuation of me getting suckered by Bungie. I bought a PlayStation 4 Pro because I couldn’t have imagined Destiny 2 wouldn’t be 60 FPS on the consoles. Welp, I’m Captain Naive. That’s just the start of things, though. Back when I first raged about the 30 FPS console cap, I didn’t anticipate that I’d have so many other things to complain about instead. Not long after Destiny 2 came out, I exercised my sanity by jotting down a top 50 list of things wrong with the game (which I never published). I came up with the first 35 easily; the others came from complaints found on the game’s most popular subreddit, r/DestinyTheGame. Today, you’re not likely to find more than a single thread in the subreddit’s top 10 that’s related to anything other than (usually justified) complaints. So What’s The Deal With Bungie & Destiny 2? In a nutshell, there are many decisions that Bungie has made with the development of Destiny 2 that many find to be downright baffling, but lately, the grossest insult to players is the admission of an issue from Bungie which confirmed suspicions that the game dramatically reduced XP earned almost immediately after beginning to get your grind on. Things hit a head last week when reddit user EnergiserX posted a thread with their findings after some tedious grinding. Bungie remained quiet until some gaming sites decided to pick up on it. Ultimately, it was proven that there is definitely a point when the game decides to start withholding XP. That’s not such a massive issue in itself, since rest XP has been a thing forever (and it’s an appreciated feature by many), but things are not quite that simple here. What Bungie did was lie to the player about the XP earned. There’s no beating around the bush here… players were told they were earning a certain amount of XP, but in reality were earning a mere fraction of it. The little XP bar at the bottom might say +5,000 XP, for example, but what you may actually earn is a fraction. Imagine if this design was found in an MMORPG. 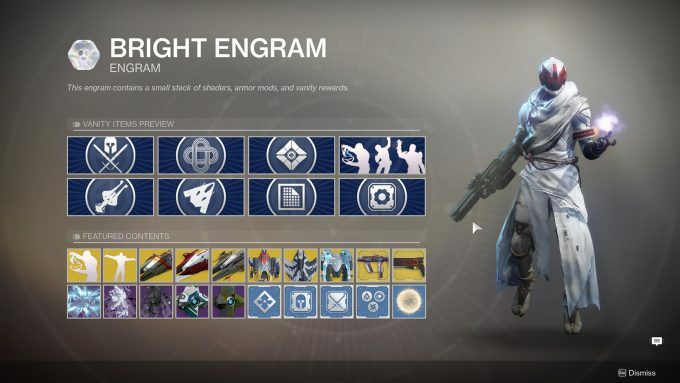 Earning Bright Engrams too slowly? Silver can help with that! Let’s not beat around the bush here. Bungie has replied to very few issues in Destiny 2 up to this point, but it didn’t hesitate to latch onto this as soon as important gaming media picked up on it. Plus, how can it not be performing to the company’s liking when it was developed that way? This design persisted for four months, and only after a reddit thread hit r/DestinyTheGame’s front page that something was done about it. The big question: why would Bungie want to misreport XP earned? Could it be that the company wants players to feel compelled to haul out their wallets and purchase Silver? Many are believing that’s just the case. 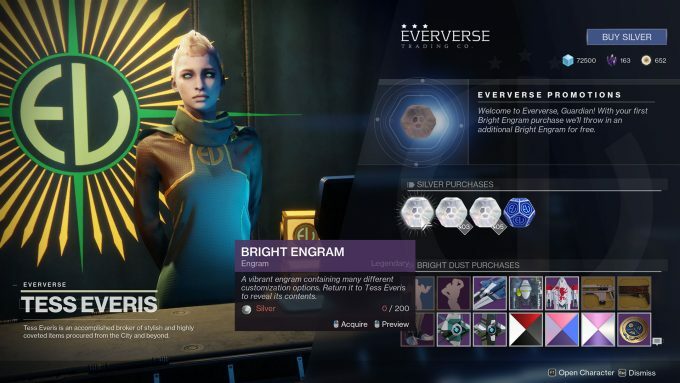 The slower the progress, the fewer Bright Engrams you earn – Bright Engrams which can be purchased for about $2 a piece. See the problem? If not, it might be worth pointing out that after Bungie corrected the XP gain, it quietly doubled the amount of XP required to gain a level, and thus, earn another Bright Engram. This is a developer we’re supposed to take seriously. A developer, which, four solid months after the game’s launch, hasn’t released a single substantial patch to fix many of the game’s niggles. Let’s think back to the issues we all talked about with the original Destiny. Worlds couldn’t be large due to the older consoles. Many believed technical limitations are what held us back. Bungie implied that with old consoles out of the picture, updates, including those for polish, should roll out quicker. That’s not happening. Instead, what this next-gen Destiny brought are features such as reduced PvP team sizes. Oh – and we still can’t have more than 3 fireteam members in a single patrol area – a complaint stemming back to the original game, and left unresolved. You’ll have to excuse me if I’m ranting just a bit too much. I put a huge amount of time into the original Destiny, so when the sequel neared, I talked it up and down to friends, some of whom took my advice and ran out and picked the game up. 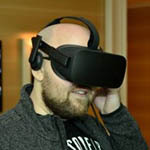 Hearing about all that’s wrong with the game, some backed off on their purchase ahead of launch, but others went ahead. I found myself quickly having to conjure up excuses on Bungie’s behalf. And I didn’t like it. Here I talked this game up, and it’s underwhelming to everyone except those who are very casual about their gaming. What am I supposed to say now? That the game will get better, on the eve of a DLC pack that not a single Destiny-faithful I know is looking forward to? This is not what I expected from Destiny 2 before its launch. I couldn’t have imagined this much going wrong, and especially wouldn’t have envisioned a reality where Bungie would outright lie about the XP you’re earning. How could it possibly be justified that the number you see at gain at the bottom isn’t at all accurate? This design was deliberate, not an oversight. Is Eververse at the root of this evil? Probably. 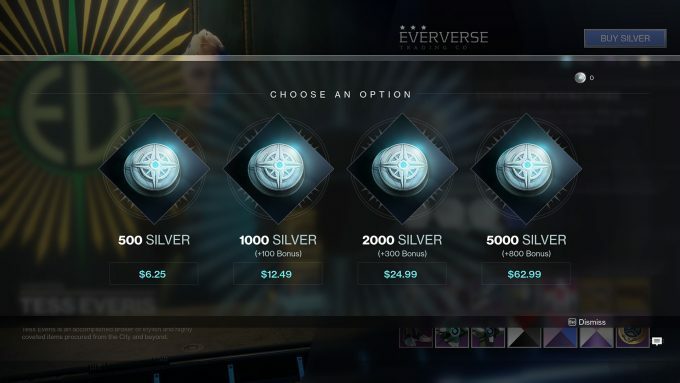 Other issues that tie into this overarching one is that we’re not sure how the Fireteam Medallions, sold for Bright Dust earned from breaking down purchased (or free) items from Eververse, were affected by this XP issue. We might not ever know, either, since Bungie has already fixed the issue – a server-side one, for the record. Given that there hasn’t been a single patch since launch 4 months ago that fixes a lot of what’s wrong with the game, the fact that Bungie fixed this issue so incredibly fast makes the company’s silence on every other issue all the more frustrating. Ultimately, if people used real cash to acquire Medallions, and they still earned a paltry amount of XP, then many people are going to feel scammed. Don’t forget the simple fact that Bungie misreported the XP earned for months. If the XP earned reading was accurate, people would still complain, but for less important reasons. There’s also an issue of XP codes being given away in boxes of Pop-Tarts ahead of the game’s launch. Many friends of mine ran out to purchase these. I didn’t, and didn’t feel like I missed out on anything, but those who ran out and purchased a box of these pastry delicacies have the right to wonder if they ended up getting less than they thought they were getting (and paid for). And there we have it, a summary of what’s going on right this moment. I don’t like to rant about Destiny, believe me. After putting so much time into the original, I was beyond stoked for this sequel. 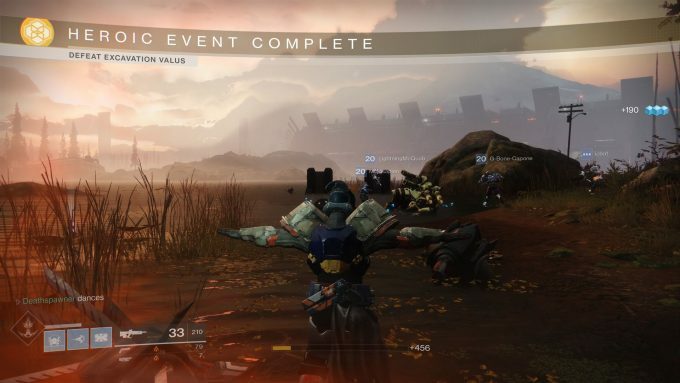 But, it’s riddled with issues, and Bungie has decided to retain its stance on almost never uttering anything, instead allowing the community to stew their angst. When people need Bungie to speak the most, it’s largely remaining silent. And yet, it’s still pushing its DLC like it’s the only thing that matters right now. We’re supposed to see a livestream this week that will tackle upcoming fixes, but we don’t have a time on it yet. Given everything we’ve seen from Bungie and Destiny 2 up to this point, I am exercising extreme caution with my expectations from this one. The crux of it all is this: any move Bungie makes lately seems to be made to benefit no one but Bungie itself, and that’s not how it should be. Who can defend the company at this point, aside from its shareholders? Clearly, there’s a lot wrong here, and thus far, there’s been no clear sign whatsoever that things are actually going to improve. Bungie utters the bare minimum to get by, and I’m not sure how much longer that’ll continue to be kosher by the supremely salty community. Addendum: After this article was posted, Bungie said that it was canceling tomorrow’s Curse of Osiris stream, choosing to instead focus its efforts on putting together a blog post that will detail some polish that will be coming to the game in the weeks ahead.